Perhaps it started with Jonathan Raban’s Coasting, or was it Paul Theroux’s The Kingdom By The Sea? Ever since, most writing about the coast allegorises the state of the nation. In the 19th century, it was all very different, a time when writing about the shoreline was another way of asking, where is God? Patrick Barkham’s new book, Coastlines: The Story of Our Shore, is an acute set of observations on the nature of the contemporary beach and foreshore as a public commons. 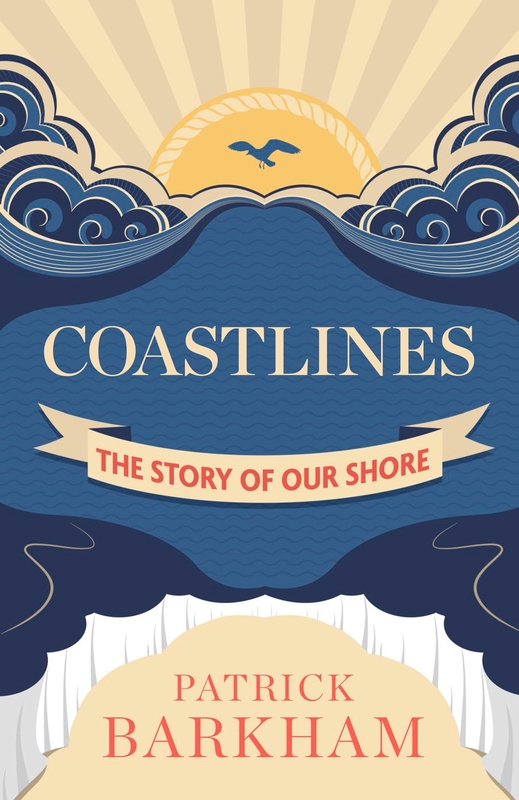 Readers should be warned, however, that while promoted as another milestone in contemporary nature writing, it is, more truthfully, a lively piece of institutional history – notably the story of Enterprise Neptune, the National Trust’s post-war campaign to acquire and protect large areas of the coastline against further development. Barkham’s study combines a series of descriptive walks in and around some of the 742 miles of NT coastal acquisitions – including Stackpole, Strangford Lough, Wembury, Orford Ness and the Lyme Regis Undercliff, as well as Lundy, Brownsea, Scolt Head and Northey Islands – along with grid references, travel details, and recommended guide books. A book for armchair reading as well as for the wild swimmer’s beach bag (once the paperback is published). In enthusing about places noted for their isolation and tranquillity, Barkham appreciates that in he is inevitably compromising these qualities by encouraging increased visitor numbers – but this paradox comes with this particular literary territory. ‘Loved by the nation, hated by the locals,’ is a refrain he often hears from National Trust Rangers about the organisation they work for, encapsulating a modern, if less serious, version of ‘the tragedy of the commons’, whereby in promoting the public amenity of the coastal footpath system, non-locals are encouraged to share the cliffs, harbours and beaches which local residents once thought exclusively theirs. This is why I like this book. Unlike so much other topographical writing, Barkham comes back time and again to the public policy issues raised by questions of ownership, management, aesthetic judgement, and institutional creativity in regard to widening landscape access and appreciation. I only wished that he had eschewed the use of the possessive ‘our’ in the title, as well as elsewhere in the text, a proprietorial trope now thoroughly debased in public discourse, especially amongst ingratiating politicians. When a holidaymaker describes her holidays on Lundy Island as a profound experience of ‘peaceful exhilaration’, we are brought affectingly close to what so many people find precious about proximity to the sea, especially as they grow older. Barkham is a sympathetic listener to other people’s stories about the meaning of the foreshore and its wide horizons, talking to visitors and NT Rangers at length, and quoting them fully. There is nothing solipsistic about his writing, which perhaps comes from the fact that he has been a journalist on the Guardian’s ‘Society’ pages for some time. There are premonitory warnings about the decimation of fish stocks from coastal waters, as well as vivid evocations of coastal erosion, the large scale dumping of sewage, industrial waste, and domestic litter. It is not all golden sands and bracing sea air out there on the margins. It would have been wonderful to have been a fly on the wall at the early Trust meetings when the aesthetic agonies of cliff-top caravan and camping sites were discussed (let alone naturist beaches), and when outright class war was, apparently, only narrowly avoided. Likewise the desire to rid all former military buildings and installations from some of the sites acquired from the Ministry of Defence, may have made good aesthetic sense, but entirely erasing the historical record from the landscape ought surely now to be regretted. The shoreline has always been both a playground and a battlefield – mostly the latter for much of history. This theme is picked up in artist Richard Wentworth’s contribution to the current History is Now exhibition at London’s Hayward Gallery. Wentworth has focused on the wartime and post-war representation of the beach as a place of terror and death – as in Robert Capa’s grainy photographs of the D Day Landings, and in paintings by Paul Nash such as Totes Meer – as well as a place of innocent recreation. These latter pleasures are evoked in L.S.Lowry’s July, the Seaside and Henry Grant’s enchanting 1952 photograph, Londoners relax on Tower Beach, amongst others, in an exhibition well worth seeing for Wentworth’s curated section alone. Ken will be chairing a discussion on coastal landscapes with artist Richard Wentworth, Pat Carter of the Radar Museum in Suffolk, and Lara Feigel, Co-editor of Modernism-on-Sea, under the title, This Island Race, as part of the Changing Britain Festival at the South Bank, on Saturday, 18 April.